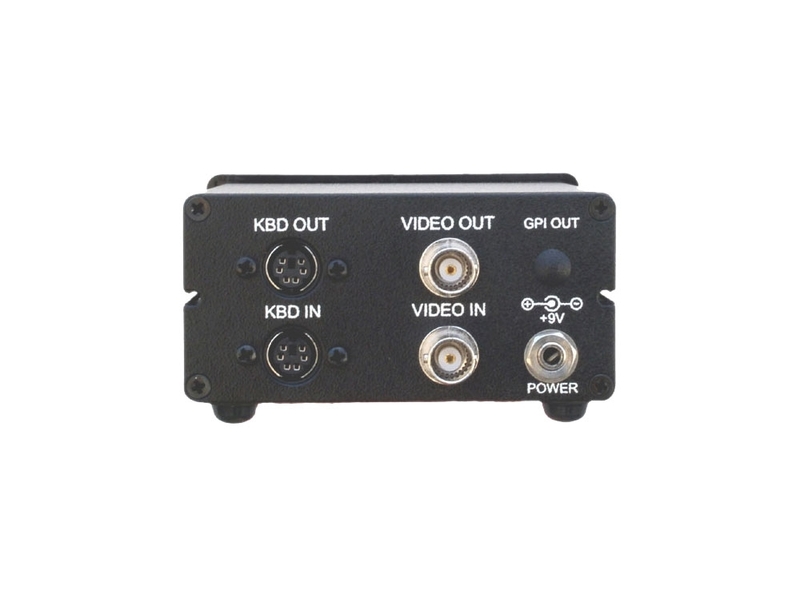 Because the KCT-50 has its own built-in text editor that performs the common typing operations of insert, delete, backspace, home, end, etc., you can quickly add source ID information, title or caption experiments, identify security locations, and perform similar titling/captioning tasks. Up to 25 KCT-50s can be connected together and addressed and controlled from a single PC keyboard*. 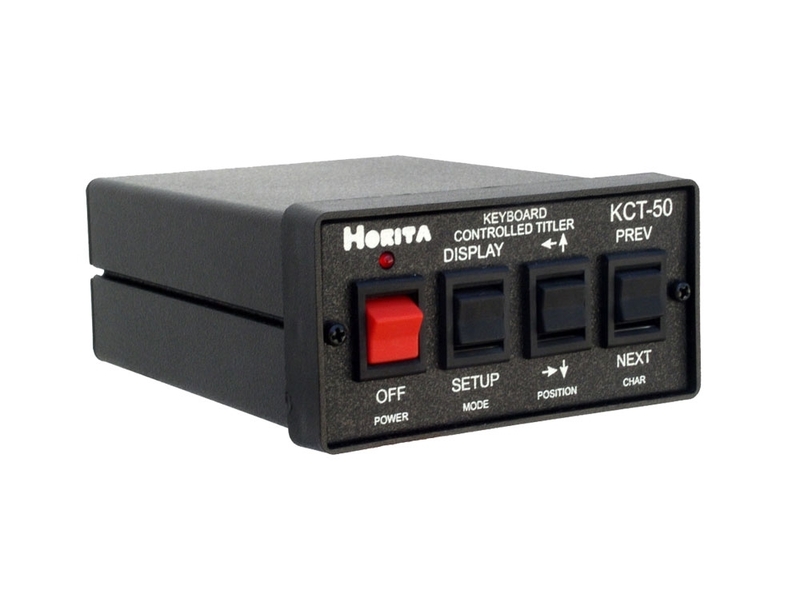 The KCT-50 can also be controlled from front panel switches. Each KCT-50 maintains 2 separate setup and display screens which can be selected via the keyboard. Built-in text editor commands include insert, delete, backspace, page up, page down, home, end, etc. Adjustable character attributes for horizontal and vertical size and position, black/white, mask on/off, contrast, etc. Separate setup screens for Display, System, Time, and Date. "Line numbers" on/off numbers the display lines for quick visual reference in locating text position. 36 time display formats, 60 date display formats, including day-of-week displays. "Split-Screen" vertical mode places the first 5 lines at the top and the last 4 lines at the bottom of the display. Quickly and easily user adjustable to move titles out of the way of the action.